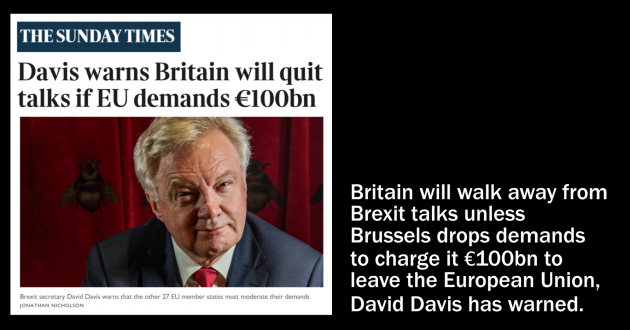 Brexit Secretary, David Davis, has said that Britain won’t hold ANY Brexit talks unless the EU drops its demands for €100bn in payments it claims are due. 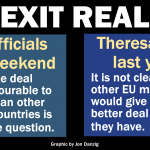 It’s now more than likely that Britain will leave the EU without any agreement in place, which of course will be disastrous. Unfortunately, David Davis has shown he knows little about the art of negotiating. Just as unfortunately, David Davis has shown he knows little about the EU and how it functions. Quite a handicap when you’re the Brexit Secretary. In 2012 Mr Davis gave an anti-EU speech in which he claimed that the European Commission was responsible for the laws of the EU. “That is fundamentally undemocratic,” he said. But as he should know, the European Commission has no power to pass laws. Only the directly elected European Parliament, in concert with the EU Council, comprising the ministers of democratically elected governments, can pass laws in the EU. 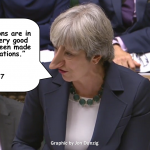 Mr Davis also claimed that the EU’s foundational principles and acquis could not be changed, and that was essentially undemocratic. But that’s not correct either. The EU is a democracy, and can be anything that all its members unanimously agree it can be. 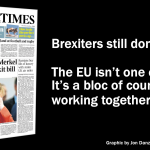 If that was not the case, there would not have been so many EU treaty changes – all of which were debated and passed by our Parliament in Westminster. During last year’s EU referendum campaign, Mr Davis claimed that Britain would be able to negotiate individual trade deals with each of the EU’s member states. He appeared to be completely unaware that one of the main basic features of the European Union is that EU countries cannot negotiate individual trade deals and instead do so as a bloc of all its members. Then, after Mr Davis was appointed to be the new Brexit Secretary, he boasted that Britain would be able to secure free trade areas “10 times the size” of the European Union. Liberal Democrat MEP, Catherine Bearder, had to point out that this would be 1.5 times bigger than the planet’s entire economy. There’s only one way to ensure that David Davis doesn’t mess up the Brexit talks with the European Union. 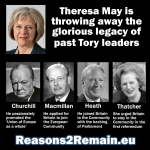 Vote Theresa May’s Conservative Party out of office on 8 June. 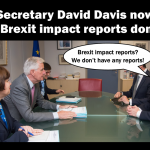 This entry was posted in Current Affairs, Democracy & Citizenship, Economics & Trade, Global & International, Law & Justice, Media & Communications, Politics & Public Policy, The EU and tagged Brexit Secretary, Brexit talks, David Davis, EU Commission, European Union, General Election. Bookmark the permalink.